Cory Ondrejka is a co-founder and chief technology officer of Linden Labs, the company behind Second Life. For those who don’t know Second life, it’s an insanely successful 3-D virtual world, completely built and designed by its nearly seven million residents. As CTO, Cory Ondrejka leads the team developing this digital world. His team has created the revolutionary technologies required to enable collaborative, atomistic creation, including distributed physical simulation, 3-D streaming, completely customizable avatars and real-time, in-world editors. He also spearheaded the decision to allow users to retain the IP rights to their creations and helped craft Linden’s virtual real estate policy. We spoke at the iCommons Summit in Dubrovnik, where I was an invited scholar. 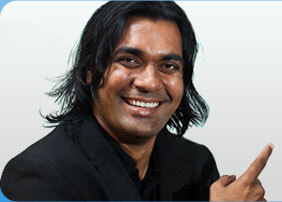 Asif Ali is the CTO of Mobile-Worx, a mobility solutions company. Mobile-Worx is trying to replicate the success of Google’s Adsense program in the mobile space, where content is monetized via advertising. Asif talks in detail about ZestAdz, an online platform that will allow companies to advertise their products and services on mobile phones through SMS and WAP sites. Bhaskar Sayyaparaju joined Sify in August 2006 as chief technology officer. Sify Ltd. is one of the largest ISP’s in India and they recently launched WiMAX here. Bhaskar talks about the advantages offered by WiMAX, and reasons why WiMAX will become a successful technology. He also shares Sify’s plan for the future and its competition with ISP’s and telecom companies.